Compare home warranty policies from the top ten home warranty service providers in columbus. To further assist you in selecting your policy, we have created a graph with a bell curve that showcases the average price of premium and average deductible of the various home warranty policies that are purchased throughout the state of georgia. View more... The X-axis indicates the price of the premium while the Y-axis indicates the number of homeowners. The start of the curve indicates the number of homeowners who purchase policies that have low premiums. The curve then rises to indicate the number of homeowners who have opted for the average premium and finally dips to denote the number of homeowners who opt for policies with a high premium. The Average Premium of the columbus is mentioned at the top of the graph. Review: Customer service was was friendly although they did have delays in finding a new water heater replacement part. I waited two days without hot water. They were very kind and went over why they could not find a part so quickly(older model). Now that the part is installed I am very thankful. Review: AHS is a good company. The customer service is great and they back up their work. they do not cover some things that I would like covered. Their prices are not fixed. I started out paying one price and one dedutable and they both went up. Review: I had a special GFCI outlet installed in the kitchen because I use it right near the sink. I use it to boil water in our electric kettle every morning. Normally I don\'t have a problem. However, I woke up last week to find that the electric kettle would not turn on. I call the Home Service Club and within two days they had the GFCI outlet replaced for me. Review: I am a total homebody and I love to cook. I use my garbage disposal all the time. Last week, my husband and I invited several guests for a Saturday night dinner party. While cooking for the party I had filled up the garbage disposal and was attempting to turn it on when it became clear that it was not working at all. My husband entered a claim online and we received a call back the next day from the technician who made an appointment to come out and repair our garbage disposal. The technician came out to fix it two days later and I am back in business. Review: I had a huge leak in the roof from a very big thunder storm last week. I called up about my warranty and explained how serious this was. They had me in contact with a roofer in 1 hour! The roofer asked me if the roof was dry for him to work. It wasn\'t so he said he can come the next morning so he can get on top of it and patch the area. He came back and spent the whole day going back and forth getting the proper matching tiles and installing them. I highly recommend Select and their roofers. Review: Thank you Home Service Club for fixing our fridge. Very professional with a very quick response on a difficult day, it made us feel like a top priority customer with a white glove treatment. The tech that the Home Service Club sent was friendly and knowledgeable, and left the job with no mess left behind. Review: After contacting the Home Service Club, I got a call back from the plumber right away. The guy did a great job he didn\'t rush and to cap it off he cleaned up before he left. I was relieved to have the leak fixed so quickly. Review: I have been battling for four weeks to get my air condition fixed. First week after I filed a claim, I did not hear anything from the company, only to call on my own and learn that they were waiting on me to respond to a voice mail that I never received. A phone number was on my account that I had no idea who it belonged to, and had no idea that I needed to approve a disposal fee. Fast forward another week and a half, the part finally arrives, only to find out that it’s the wrong part. And now here I am, going into week four with no AC and they’re telling me that the contractor can not locate the part anywhere and they can not locate it. When asked what’s my next option, I’m basically told that I have to wait until I hear something and see if they are able to get the part. I’m not sure how hot it gets where they are located, but here we are averaging 92-96 degrees with high humidity. I need my AC please! Review: Very satisfied! The problem was fix in two days. Call the first day, fix the second days. That what i call good service! Review: Where is my part? Under review? That won\'t cool off my house. Review: This warranty was part of our home purchase. Customer service is so painful today. Lots of words to still tell me that they have no idea where the part for the a/c is. Customer service has no idea what is going on and can\'t tell me. Then why are they answering the phone? I asked to talk the supervisor and I asked her where the part is and not to continue to explain the process. She actually wanted to repeat that she has no idea what is going on. WHERE IS THE PART?! 3 weeks later and I still don\'t have air conditioning for one half of my house. It is a coil that needs to be ordered. That is all. 4 days and it is still under review. You would think the review is for a part to a rocket ship. They also told me they are busy in the summer. OH, that makes it ok for your delay and terrible vendors. And have a nice day? I have no a/c in Georgia in August but hey thanks for nothing. Review: American Home shield is the best warranty service I have had. The are professional, attend to the customer needs, take care of the requests and repairs in a very timely manner. I am happy we chose American Home Shield. I had heard so much about them as being the best Home Warranty Service to have and after switching from 2 -10 Home Warranty we are much more pleased with our service. Review: American Home Shield has been my Home Warranty service provider for about 10 years. I have had either repairs or replacement on items such as water heater, air condition, refrigerator, washer and dryer. The customer service is excellent. The repair and timeliness of repair is excellent. American Home Shield have saved me from having to pay a lot of out of pocket expenses. Review: Worst company I have had to deal with in a long time. Do not waste your money on them. They charge a service fee each time they come out even if it’s for the same appliance and the same problem. In addition they hang up on you when you call in for a problem and their wait times on hold exceed 30 mins before you even talk to someone. Then when you do talk to someone they are rude and do not help at all. I would give them a negative 5 star if possible. 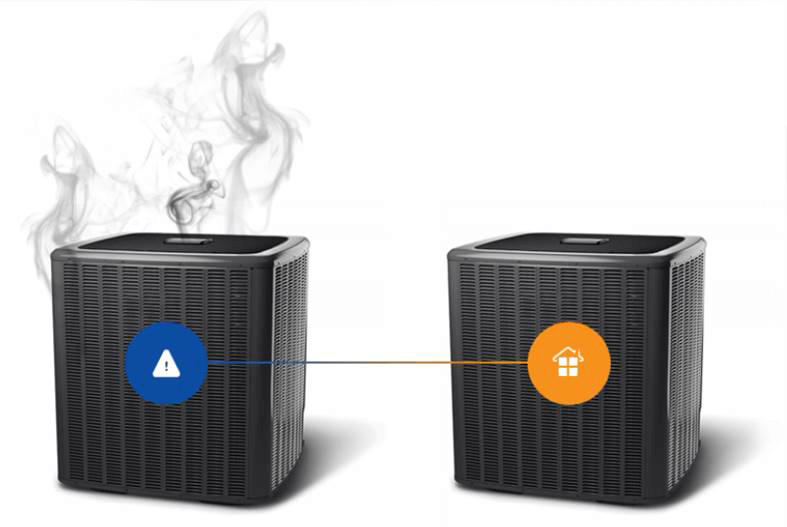 Review: i have been dealing with an air problem for 3 months. they keep making excuses. i have 3 inches of water in 2 rooms. Now we have BLACK MOLD on t he carpet and walls . everyone they send has an excuse. the air people told me last Friday it is plumbing issue the plumbers came today and said it is an air issue. i have to pay for the carpet to be replaced and now the mold issue. I have called for supervisors and am always being t old they cant come to phone, spoke to on today who said the carpet and walls are not their problem. NOW IS THE TIME TO CONTACT AN ATTORNEY, I have kids at home and now mold. Review: Great company. Just wish contractors could be a little faster calling .